The first step to saving money on bills is understanding how much you are spending. Look at your past spending, tracking your spending so that you exactly where your money is going. This is important. Before you can reduce your grocery bill, insurance bill, utility bill or any other bill, you have to know where you are starting. Figure out how much you are paying on each bill. After you figure out how much you pay for each bill, you need to evaluate your needs. Does the service or the products fit your needs. Are you watching all those channels you are paying for on cable? 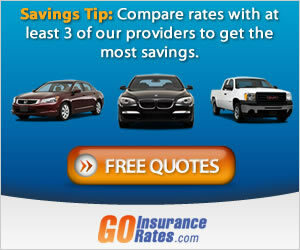 Is your car old enough that collision coverage with your auto insurance policy is no longer necessary? Carefully consider what you need. In some cases, you will be able to save money by cutting back on something you don’t actually need. Your next step is to shop around for a better price. If you want a better price, and to accurately compare different options, you should know what you need. Find out which cell phone service offer the best price while meeting your needs. Look for the best prices, online and offline, on products that you buy regularly at the store. We actually buy our pasta in bulk online, and get free shipping. It’s a great way to save on our grocery bill. Visit coupons.answers.com to search for coupons and start saving money today. In some cases, saving money on your bills is more about creating a plan to reduce consumption than it is about shopping around. Utility bills are a perfect example. Look for ways to save energy so that your electricity bill isn’t so high. Program your thermostat and plug heat leaks in your home to to increase the efficiency of your heating system. Creating a meal plan, and a shopping list from that plan, can help you stick with what you need at the grocery store, and reduce your impulse spending. Saving money on your bills requires diligence and planning. Periodically revisit the services that you have, and evaluate your buying habits. This can help you make adjustments to your spending so that you are saving money on your bills, and heading down the path to financial freedom.